11LBS Holder We recommend the use of the 11lbs Holder with any 11lbs Horslyx Balancer product! 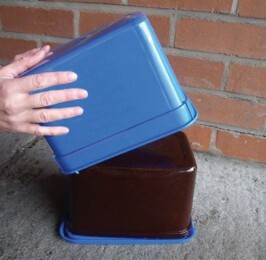 The 11lbs Holder provides an ideal way of keeping your Horslyx clean and away from stable debris, as well as preventing it from being kicked or trodden on. 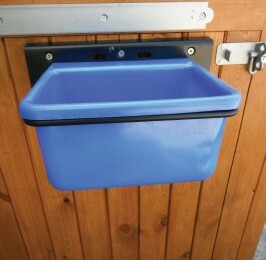 The 11lbs Holder comes with a detachable restrictor grill, helping to prevent a greedy horse or pony from over consuming. Why use the 11lbs Holder? 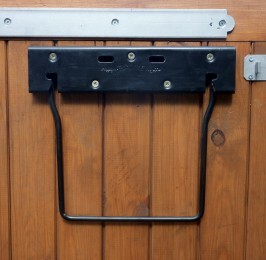 To protect your 11lbs Horslyx Balancer from wayward hooves in the stable. To keep hay, bedding and other stable debris away from your 11lbs Horslyx Balancer. 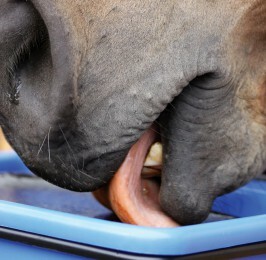 To regulate consumption of the 11lbs Horslyx Balancer if equines have a tendency to over consume. 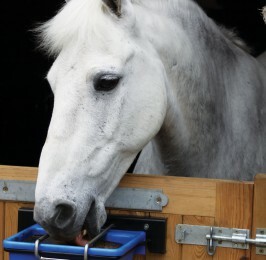 When positioned away from other feed, the 11lbs Horslyx Holder encourages movement around the stable – particularly beneficial in horses on box rest or stabled for long periods of time. Easy to use. Watch our video here to find out how to fit and use. Due to the unique manufacturing process of Horslyx Balancer, your product will ‘cold flow’ to match the surroundings. For example, with nothing to contain the lick it would spread across the ground. When you first put Horslyx Balancer into the holder there will be a gap around the lick. This gap will be filled as the Horslyx Balancer ‘cold flows’ into the space. This process can take some time, but the warmer the lick and its surroundings, the quicker the process will be. Allowing this ‘cold flow’ process to take place fills the gap, and ‘fixes’ the lick in place. 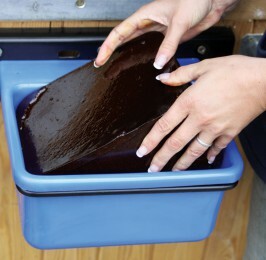 To remove the balancer from its container, first flex the sides away from the lick. Turn upside down and knock sharply on the bottom of the container. Once removed from the packaging, turn the lick the right way up, before placing into the 5kg Holder. See the below video to watch the process.